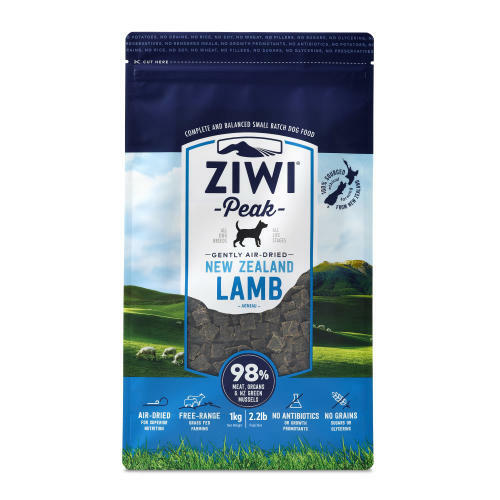 ZiwiPeak Lamb is a mouth wateringly delicious, all-natural complete food for dogs at all stages of life, from puppies, to adults, to seniors. 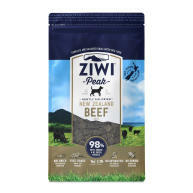 Made with the same balance of real meat that your dog would find hunting in the wild to suit your four-legged friend’s digestion, ZiwiPeak is not just made with natural ingredients, but is also a natural diet – free from grains, fillers, preservatives and colours. 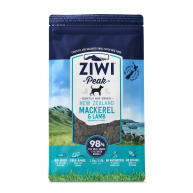 This all-natural, high lamb content diet is ideal for dogs which may be underweight and needing to add muscle mass, providing energy for growing puppies, or dogs recovering from injury or illness, whilst Green-Lipped Mussels are a rich, wholesome source of chondroitin and glucosamine to help ensure excellent joint health for dogs of all ages. Lamb - Meat (min. 65%), Liver, Tripe, Heart and Kidney (min. 19.5%), Chicory Syrup, Green-lipped and Blue Mussel (min. 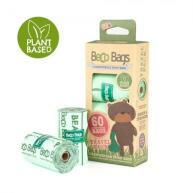 4%), Fish Oil, Lecithin, Kelp, Vitamins and Minerals, Parsley, Naturally preserved with mixed tocopherols, Additives: Vit. D3 592 IU/kg, Vit. E 7.4mg/kg, Copper (copper proteinate) 9.8mg/kg. 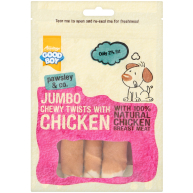 Calories 1854 KJ/100g. Protein (min.) 28%, Ash (max.) 12%, Fat (min.) 30%, Fibre (max.) 1.5%, Moisture (max.) 15%, Calcium 2%, Phosphorus P 1.1%.